There is no more disturbing a book to read than The Blood of Emmett Till by the scholar and historian, Timothy B. Tyson. It is the true story of the Emmett Louis Till, a 14-year old boy who was murdered by the two white supremacists Roy Bryant and J. W. Milam in Money, Mississippi. Timothy B. Tyson spent (as he mentions in the video clip below) seven years writing it. It is book about the evil; very difficult, even too brutal. But it is a book that every man, woman and young adult should be made to read to have an unadorned sense of the history of the Southern United States and the evil that is in man. This book is a brilliant exposé of systemic racism in (the predominantly) white America that began since its inception as a nation-state and sadly continues until today. Mr Tyson has based his narrative on the court documents that relate to the all-white jury trial of the two murderers, held shortly after the killing of the innocent boy, in segregated Mississippi in 1955. It bears mention that these documents were ‘made to stay lost’ until the FBI ‘found’ them, in the form of a copy-of-a-copy’ in May, 2005 and re-opened the case into the killing. The fact that such a document so critical to correcting the twisted history of the United States should have remained ‘lost’ for fifty years is, in itself, a travesty, even as it raises the question about the will to change that very history to make the country’s society all-inclusive. This book was meant to be written by ‘someone’ dedicated to righting historical wrongs. However, the question of whether it might have been written in this way had Mr Tyson not been the kind of activist-historian that he is, and more significantly, had he not had a call from a quiet Southern Lady inviting him to ‘tea and cakes’. 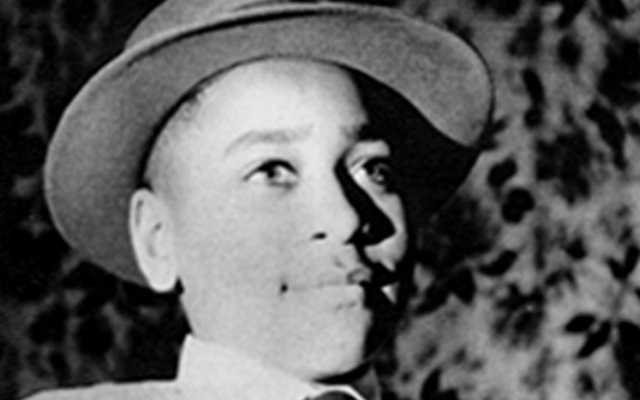 That lady, of course turned out to be the daughter-in-law of the woman – Carolyn Bryant – who claimed, falsely, that she had been raped, as a 21-year-old, by Emmett Till. It set Timothy B. Tyson on a mission to discover the truth about the incident, his discovery of the ‘lost trial transcripts’ and the writing of this book, a crusade that followed in the wake of an earlier one to interview the man who had murdered Henry Marrow in Oxford North Carolina when the author was eleven years old. “But Oxford burned on in my memory, and I later went back and interviewed the man responsible for Marrow’s death in 1970. That killing had resulted in Mr Tyson’s Blood Done Sign My Name (Crown, 2004). The book was apparently read by Mrs Bryant and that led to her request to set the record straight. 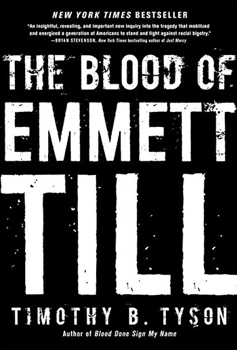 This book, The Blood of Emmett Till does not feature much of that dialogue between Mr Tyson and Mrs Bryant. It doesn’t need to. The exposition of the facts based on the ‘lost trial transcripts’ that led to the boy’s murder and the case that followed, which acquitted the murders is sufficient to set the record straight in this book The Blood of Emmett Till. Even at its densest part, when discussing details of the history of the Southern American state of Mississippi, its relative difference from Chicago where Emmett Till resided in the short years prior to his lynching, details of “Brown v. Board of Education of Topeka, 347 U.S. 483”, Mr. Tyson’s book is eminently readable. Its narrative burns through the mind like a forest fire, each page seemingly tearing away at the flesh that protects us (as readers) from the brutality of the crime. We might find ourselves choking on the details of, for instance, of Black Monday, an incendiary document written by the white Justice Thomas Pickens Brady in 1954. The document was published four days after the U.S. Supreme Court’s ruling on Brown v. Board of Education by Judge Thomas Pickens Brady of the Mississippi Supreme Court, intellectual godfather of the segregationist Citizens Council wrote Black Monday a dark palimpsest.